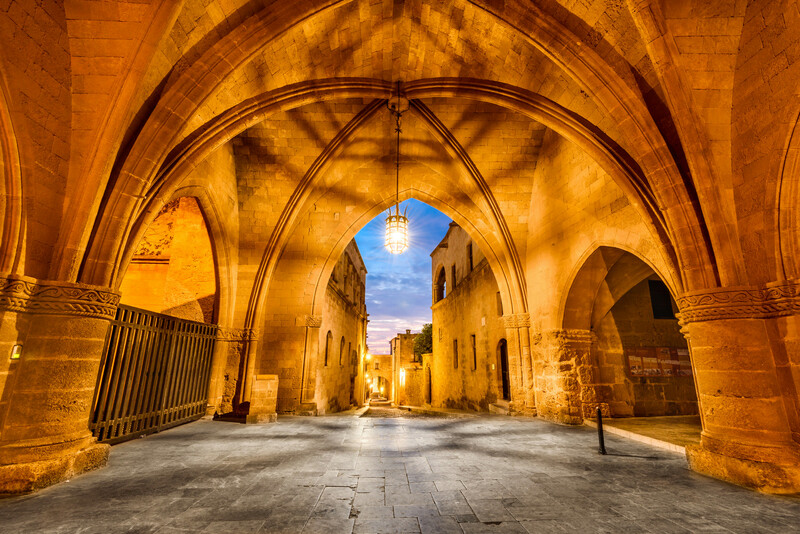 Rhodes Greece is the largest and most popular island of Dodecanese. With 300 days of sunshine per year, Rhodes island is mostly famous for the romantic Old Town and the amazing beach resorts. 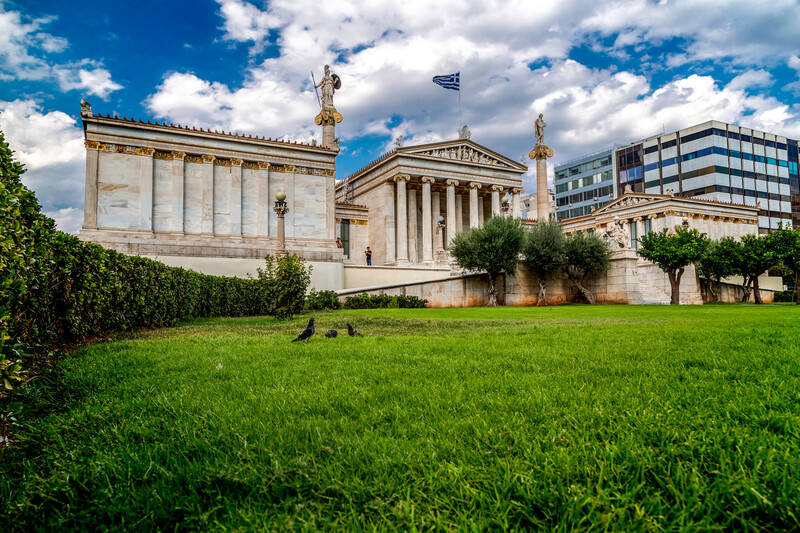 Early breakfast and departure transfer to Athens International Airport to board on the domestic flight for Rhodes Island. Upon arrival, transfer to your hotel in Rhodes. Balance of the day at leisure. Overnight stay in Rhodes. Rhodes is the largest and most popular island of Dodecanese. It amazes visitors with its stunning beaches, its medieval architecture and many interesting monuments around the island. 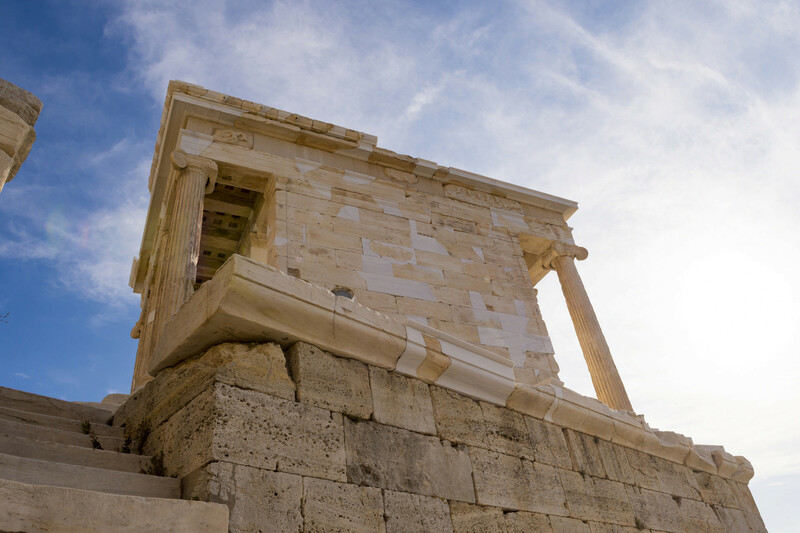 There are many interesting sightseeing spots in Rhodes, a place with long history and rich tradition. Its Old Town is among the best-preserved Medieval Towns of Europe, with strong walls, an impressive castle, paved paths and elegant stone mansions. 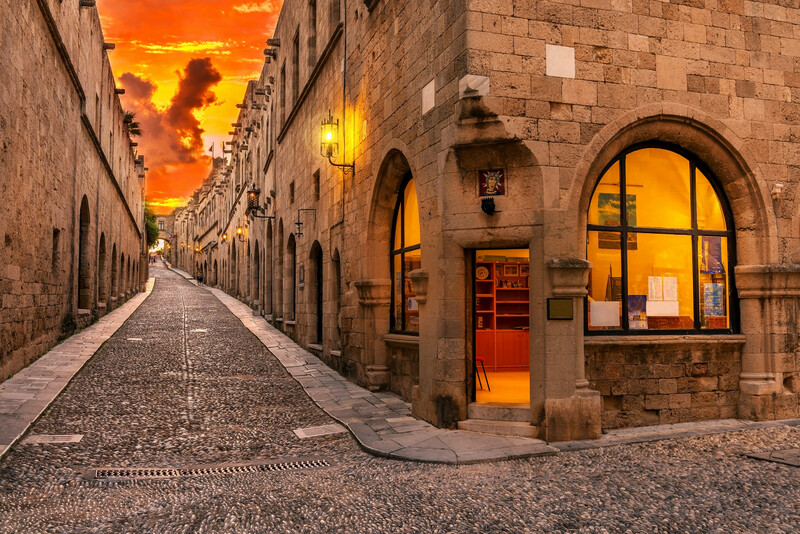 The Street of the Knights, the Palace and Hippocrates Square are some of the main spots of Rhodes Old Town. 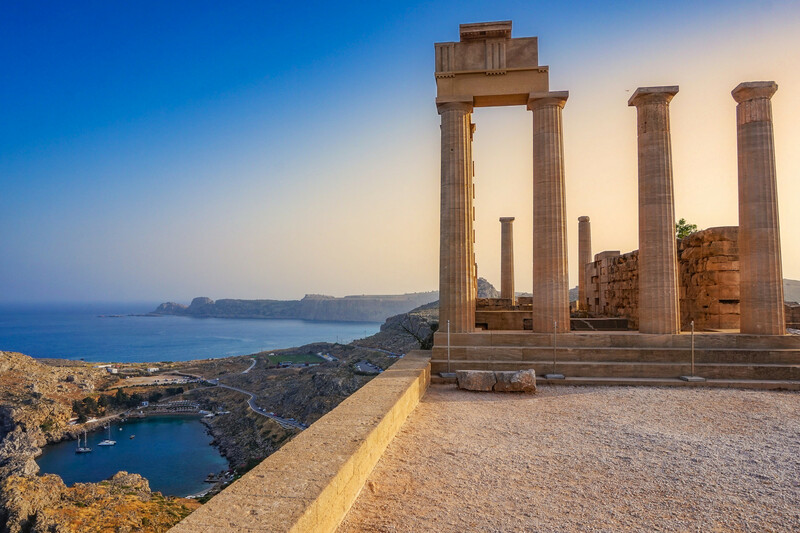 Of course, you shouldn’t miss visiting as many places as possible around the island, such the Acropolis of Lindos, the Aquarium, the Monastery of Filerimos and the Valley of Butterflies. Also, there are many beach resorts on the island which are perfect for sunbathing and relaxing. 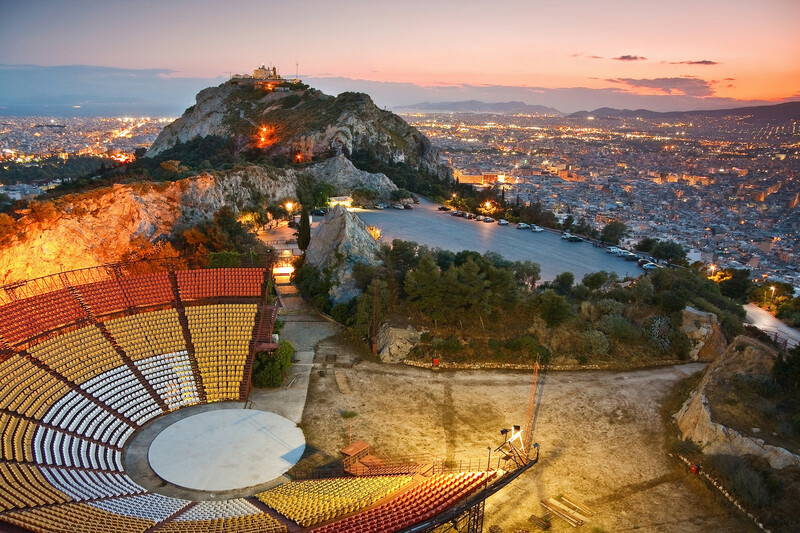 Kallithea and Faliraki are the most popular ones with many tourist facilities and restaurants. Last but not least, you can find numerous beaches for all preferences, such as Tsambika and Ladiko beaches. Prassonissi, Ixia and Theologos are popular beaches for windsurfing and kite surfing. After exploring the island of Rhodes, you can also do some day trips to nearby islands, such as magical Symi Island. Overnight stay in Rhodes. 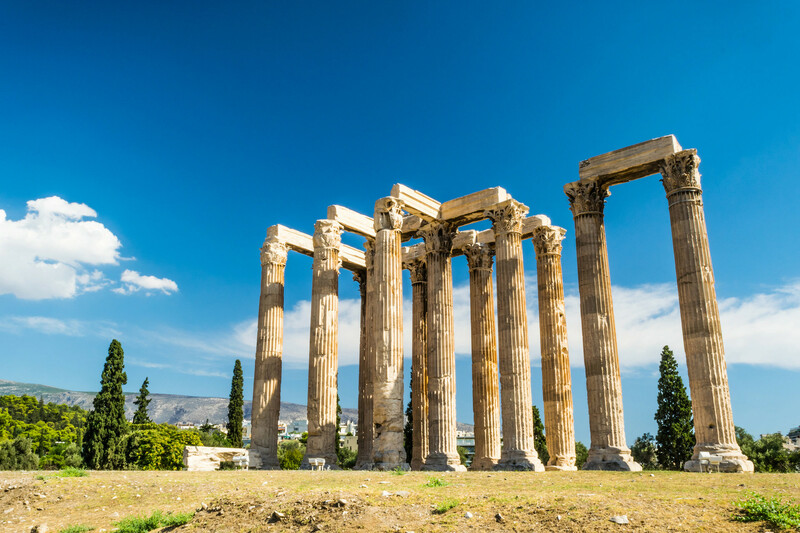 Breakfast at the hotel and transfer to Rhodes International Airport for your domestic flight to Athens in order to board your international departure flight.